Zenobia was a 3rd-century Queen of the Palmyrene Empire in Syria, who led a famous revolt against the Roman Empire. She expanded the empire, conquering Egypt and expelling the Roman prefect, Tenagino Probus, who was beheaded after he led an attempt to recapture the territory. She ruled over Egypt until 274, when she was defeated and taken as a hostage to Rome by Emperor Aurelian. 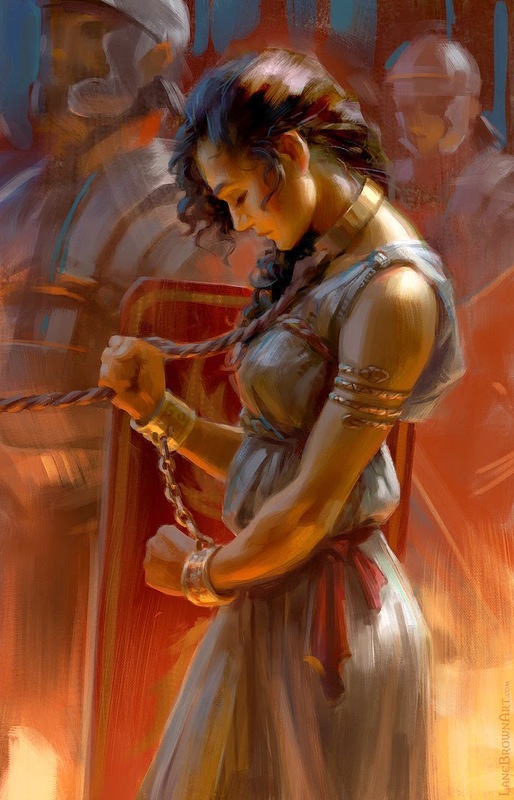 It is said that she was paraded through the streets of Rome, bound by chains of gold. View more of her works via her website.